Never has a film received so much scrutiny, and some hatred, before the actual film has been released than the newest Hollywood reboot, Ghostbusters. 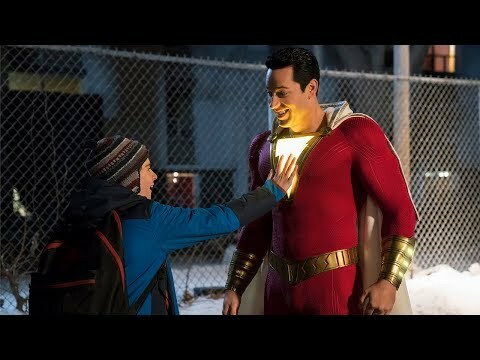 Ultimately, the outrage isn’t shocking in the age of so many lackluster reboots recently, and the horrible marketing campaign certainly didn’t help, but the logic behind the hate was faulty through and through. Now that the newest entry in the comedy franchise is out, what’s the final verdict? Paranormal researcher Abby Yates (Melissa McCarthy) and physicist Erin Gilbert (Kristen Wiig) are trying to prove that ghosts exist in modern society. 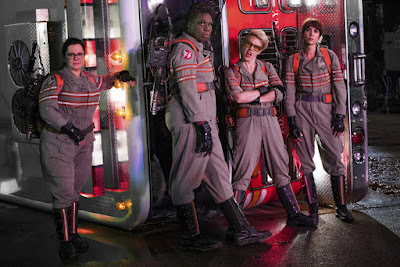 When strange apparitions appear in Manhattan, Gilbert and Yates turn to engineer Jillian Holtzmann (Kate McKinnon) for help. Also joining the team is Patty Tolan (LeslieJones), a lifelong New Yorker who knows the city inside and out. Armed with proton packs and plenty of attitude, the four women prepare for an epic battle as more than 1,000 mischievous ghouls descend on Times Square. The story, minus the first thirty minutes or so, largely hits the same beats as the original. And while it is inevitable the new entry will be compared to the original, it manages to do just enough different to separate itself from that film and become it’s own reimagining. The plot gets a bit stretched out and thin but in the end it’s a vessel for the comedy and works for the most part. As far as performances go there isn’t a weak link among the team, sharing chemistry and nailing comedic timing. McCarthy and Wiig play the relatively straightforward characters and it serves them well, rather than their normal repertoire of characters. Leslie Jones maintains excellent chemistry with the two of them as well as maintaining a solid stream of laughs without being as loud as the trailers make her out to be. But the real standouts are Chris Hemsworth and Kate McKinnon. While their characterizations are completely one note, the comedy they provide within the group is immensely funny and they both become scene-stealers. And the comedy is, for the most part, solid. None of it is immensely hilarious nor are they extremely memorable jokes but the overall collective of comedy provide more than enough laughs. Paul Feig, the director, is a wonderful comedy director, and while he has done better, he provides an outlet for these funny women to work and bounce off of one another. The pacing is a bit off as some parts near the middle drag and the finale feels largely overblown and unearned, but these a missteps among a largely well made film. Overall, Ghostbusters is a good movie and very undeserving of the hate. 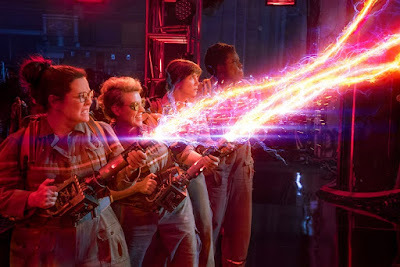 It won’t beat the original Ghostbusters but it’s certainly enjoyable and much better than the second. The cameos from the original cast are cute but they were inevitable. The villain is forgettable and the plot was thin, but the comedy and fun provided are more than enough to call this reboot a success. So what did you think of Ghostbusters? Have you seen it, and what’s your favorite reboot that you’ve seen? Subscribe, share, comment below and as always return to I Am Sam for weekly reviews and insight.